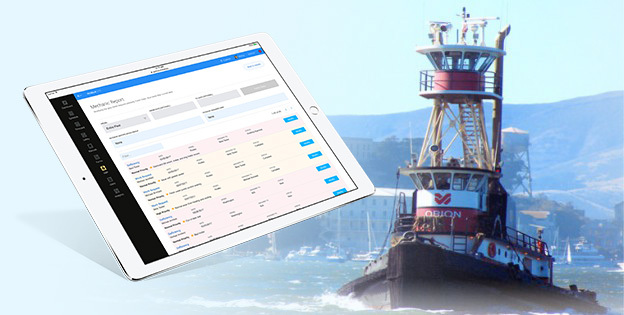 MobileOps, Inc. has signed a deal with Westar Marine Services, a major tug and barge operator headquartered in San Fransisco, CA, with operations in Seattle and all along the West Coast. Westar has a reputation for outstanding customer service and creating safe and economic solutions for their customers. Westar will utilize the MobileOps Platform across its fleet of tugs and crew boats to further bolster it’s safety, quality, and maintenance initiatives. “The ease and flexibility of MobileOps has provided us with the ability to integrate several programs into one platform”, says Dave Morrow, Vice President at Westar, “The outstanding support we receive from the MobileOps team will help to give us the ability to customize the program to meet the maritime industry’s regulatory requirements”. The MobileOps Platform is a cloud-based subscription solution that includes both a Web Application and an offline-capable iPad application called Voyager. The Voyager app allows data to be input, stored, and then synced with the MobileOps Platform once within cellular range, allowing for seamless and efficient communications with shoreside personnel. Companies are choosing MobileOps because it’s incredibly easy to use, cost effective, and is backed by great customer service.